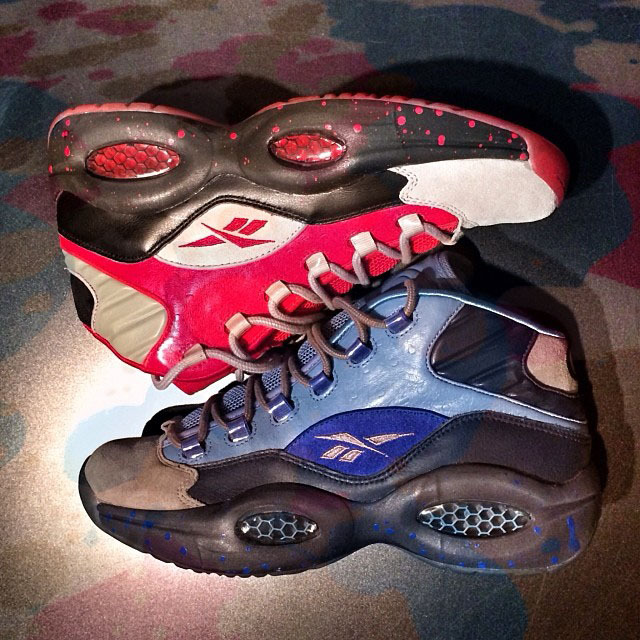 Stash steps up with another preview of his upcoming Reebok Question collaborations, this time with possible release info. The NYC street art legend added his flavor to blue and red-based colorways of the classic shoe, each helped by suede overlays and speckled midsoles. According to hints dropped on Instagram, we'll see the blue pair sometime in May and the red sometime in October. More on that as new information becomes available.